Home 2018 March 22 Was it ethical to take Henrietta Lacks cells without consent? “Henrietta’s cells have been bought and sold by the billions, yet she remains virtually unknown, and her family can’t afford health insurance.” This is a quote from her book called “The immortal life of Henrietta Lacks.” This quote shows something really important. Henrietta’s family has not received any money from all the cells that had been replaced they have never made a penny off of it. Her cells were took without consent from the Lacks family. The lacks family now distrust the Hopkins Hospital and really any white person. Their are so many reasons why they only trust Rebecca Skloot and no one else. Rebecca Skloot is the only white women who was with the family after they thought that she was not trustworthy and that she was another one of them. Her cells were the only thing Henrietta youngest daughter Deborah had of her and all she did was wanted to know about her mama. Scientists have used HeLa cells to develop the polio vaccine; they have gone into space and have been exposed to nuclear testing and to toxins. The cells have furthered our understanding of cancer, HIV/AIDS and cells in general, and are still widely used today to grow viruses and to test anti-tumour medicines. Too begin, Henrietta’s cells has been took since 1951. Henrietta’s cells has made may cures for many people and they were first used in research that led to the Polio vaccine, as well as helping to develop medicines to fight cancer, the flu and Parkinson’s disease, and in the research that led to gene mapping and cloning. The woman’s name was Henrietta Lacks. The cells, culled from her cancerous cervical tumor, are called HeLa. … And they’re still the most commonly used cells in research today and she is the wonderful women who has mad many cures for many disease. The doctors at Hopkins Hospital took her cells without consent because they wanted to run test and they believed that her cells can make cures and treatments like they do. HeLa has it’s property like growing without contact inhibition. In normal cells when they grow fully they come in contact with surrounding cells and stop dividing, whereas in HeLa or any other cancerous cell line, cells divide even after contact with neighbor cell. 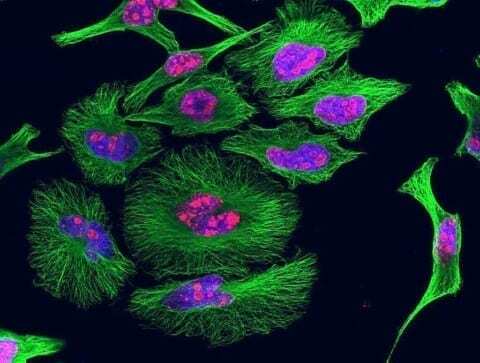 HeLa cells are the workhorses of cancer research. Lacks died of cervical cancer eight months later, but her cells live on in laboratories around the world. During that time the family didn’t like Hopkins hospital. Johns Hopkins Hospital is the teaching hospital and biomedical research facility of the Johns Hopkins School of Medicine, located in Baltimore, Maryland, U.S. This is because they didn’t have any consent and they all were being lied to. The Lacks were told that they have too draw blood they really were taking their blood to test on them. The doctor was coming back and forth to get one family member blood and they were all wondering why. The family of Henrietta was a good family but they did not know how to take the death of a family member so helpful they all just though “ “My mother would be so proud that her cells saved lives.” The Hopkins hospital was never really blamed for anything in reality. The family worried too their other family members. The testing was for the doctors too find a trait or a different thing that leads too Henrietta Lacks. This can relate too the Tuskegee syphilis study because they were being lied too about drawing blood. In this study white man took poor men from Alabama and they injected syphilis into the African American male and they watched over them too see what was going to happen. They related because they both were told that they had “bad blood” and they were really being tested on. Some people may claim that Henrietta cells were only used to test on her and her family knew that she was getting a surgery. Henrietta’s family or Henrietta did not give them consent to them for them too remove anything. A surgery can go wrong and anything can happen. A person like Henrietta will always be known but not that known because the people never really knew or talk about her so her name is not being brought. In conclusion, the people and family of Henrietta Lacks was devastated of Henrietta death but they all are not going too like or they will never like Hopkins hospitals because they lied too the family and they didn’t give any form of getting the consent from a family. They also was told the truth too they all were lied too. This was affecting the kids of Henrietta and the family. The emotional state was depression and the acts was weeping. The family was trying to help as they can but the couldn’t. “The Immortal Life of Henrietta Lacks Paperback – March 8, 2011.” The Immortal Life of Henrietta Lacks: Rebecca Skloot: 8601400205570: Amazon.com: Books, www.amazon.com/Immortal-Life-Henrietta-Lacks/dp/1400052181. This is good because i can get quotes from the actual book. i actually seen the book in person and it has the same thing online. What this means is that this is not a rip off and this will work. This is a good website because it provides information that helps with why she doesn’t have any consent. This is also good for information on the Johns Hopkins hospital and how it works. This is good for a understanding on what they do at that hospital. This is good for what they do there and what they accomplish their. I will use this website to find out what goes on their. Was it ethical to take Henrietta Lacks cells without consent? by Nakiah is licensed under a Creative Commons Attribution-ShareAlike 4.0 International License.